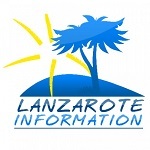 The best and most reliable information about Lanzarote on the web. Inexpensive car hire, with all-in pricing and no deposit or credit card required. Villas and apartments for Holiday let, direct from the owners! All types of holiday to Lanzarote, from people who live here and know the island better than anyone. Brief news in Lanzarote this week includes a man arrested for passing fake Sterling, jellyfish in Playa Blanca, vandalism in Montaña Roja and more. Mike gives some tips on how to pronounce some of the more difficult place names in Lanzarote, as well as some simple Spanish rules. Norman enjoyed a romantic weekend in Fuerteventura, and then hoped to enjoy a concert in Haria, but it all went wrong for him. Lanzarote has regular gastronomic festivals to celebrate our wonderful food and wine. Here are the details of the events, update regularly. Opinion piece, from a cyclist, with a couple of suggestions as to how we can do better when using the island’s roads in future. We have the best and most up to date information about Lanzarote, updated pretty much every day, so you can relax knowing you’ll get the best from us. We work with the island’s best excursion providers to ensure you and your family have the best possible, and safest possible time enjoying the island’s unique attractions. We’re the travel agents who are actually based in Lanzarote, which means we know the island better than anybody and we’re here on hand if you need help or advice while you are on holiday. We’ve been offering car hire services to our readers since 2008 and we help thousands of people get mobile here in Lanzarote every year. Mike, also known as Miguel, is a co-founder of Lanzarote Information. He’s lived on the island since the millenium and his passion for it remains very strong. He’s a Lanzarote Ironman, a petrol head and loves travelling around the world. He’s published 5 books, 4 of them relate to Lanzarote. Julie, also known as Jules. What started out as a hobby for her – writing and taking photos of Lanzarote – developed into the successful business it is today. She’s also an Ironman and loves booking other people’s holidays when she’s not travelling herself. Lanzarote still takes her breath away most days. Susana is originally from Barcelona but lived in Ireland for 14 years. She came to Lanzarote for the first time in the summer of 2009 and fell in love with the place, she moved over in August 2010 and has being trying to find her feet… she’s found out they are at the end of her legs! Norman and his wife, Dee, have been living on the island for three years having been holiday makers here for fifteen years beforehand. In Rochdale in the UK Norman was a writer, poet and radio presenter covering community arts and High Art. He is thrilled by the vibrancy of that scene in Lanzarote and tries to capture that in his articles. newspapers all over the world.